Stylish, functional and affordable! 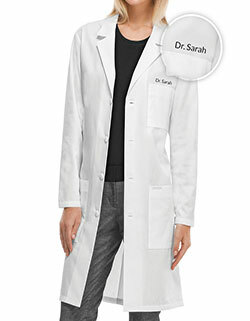 Cherokee lab coat with a notched lapel collar, three quarter sleeves ending in cuffs and princess seaming is bound to enhance your feminine silhouette at work. 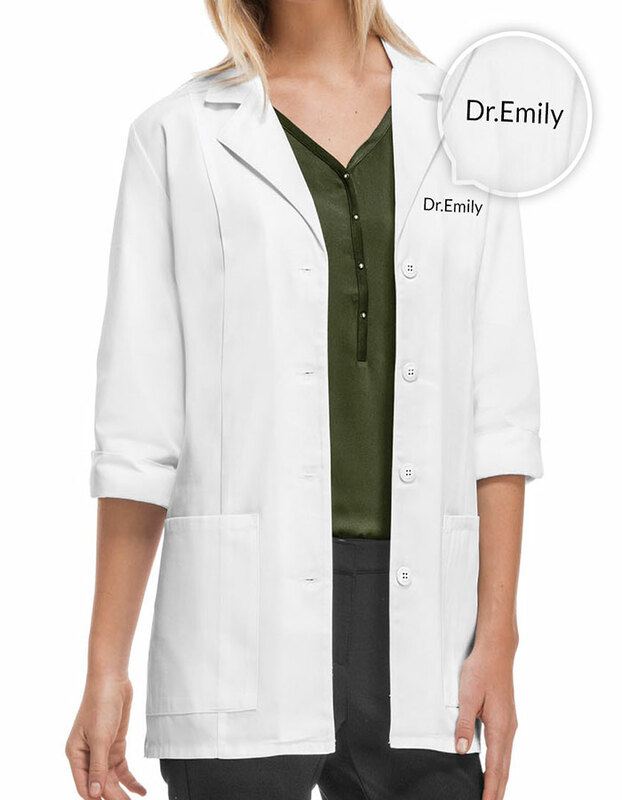 Featuring two patch pockets for storage and side vents and a center back belt, complete your professional look. 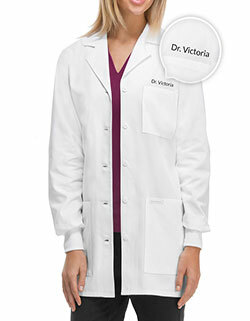 Order this lab coat from us today and enjoy free embroidery services.